The athletics world governing body, the IAAF, has ordered the Ghana athletics association to convene its elective congress as soon as possible or face sanctions from the Monaco-based institution. The GAA was forced to put on hold its elective congress scheduled for Tamale in December 2018, as a result of a court action brought against the country's governing body by its former president George Lutterodt. Lutterodt, who is contesting for the position of president of the GAA, claimed the current executives were trying to manipulate the electoral process to favor certain candidates and sought an injunction on the process at an Accra High Court. At their last appearance in court, both parties agreed to settle the matter out of court. The National Sports Authority formed a committee to meet both parties to find a resolution to the matter, but following the meeting, no consensus was found and the GAA and Lutterodt are set to reappear in court later in April. 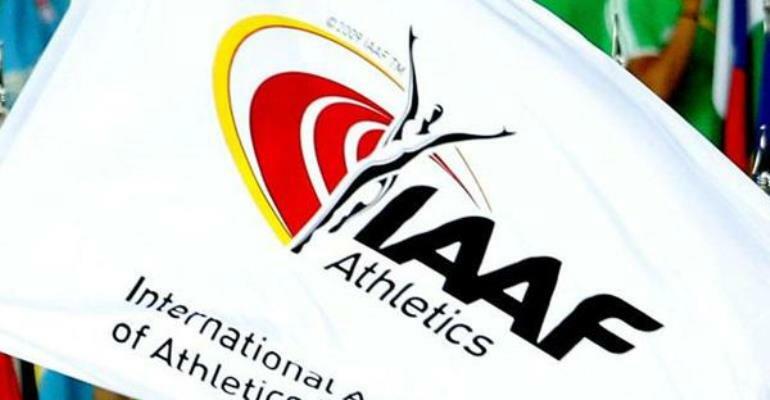 But the IAAF, in a letter signed by Jee Isram, the organisation's Senior Manager for Governance, Member and International Relations, asked the GAA to use its constitution to resolve the matter and proceed to congress immediately. “You may wish to note that the provisions of Article 14.6 and 14.7 of the constitution of the GAA covers any disputes arising between members of your federation and it is up to the General Assembly of your federation to decide by simple majority if no amicable resolution through mediation is reached. “We request that you convene the elective General Assembly of your federation, adhering to the provision of Article 3, 4 & 5 and the applicable deadlines for the convening notice, as provided in the constitution of the GAA. “As you know, the IAAF has recently made significant governance reform and expect that in turn, its Members follow the principles of good governance. Members who fail to meet these high standards, such as organizing their elective General Assembly every four years, may run the risk of being disqualified to participate I international competitions or see any financial benefits related to its membership suspended,” the statement said. Jee Isram also states that he has personally spoken to Lutterodt and directed him to use the GAA's dispute resolution mechanism to address his concerns. “To clarify, we have not received any letter from the plaintiff's lawyer, however, you may wish to note that we have received a correspondence from Mr. George Lutterodt former President of the GAA, filing a reort of breaches of the constitutional provision of the GAA. As you may know, we usually correspond with our Member Federation, not the individuals. “However, I called Mr. Lutterodt to inform him that all disputes arising from a member of the federation should be dealt with in accordance with the provision of the GAA and no other bodies (Ghana NOC, National Sports Authority, governmental agencies) can intervene and any issues regarding the constitution should at the General Assembly of the federation,” the letter concluded. With the Africa U-18 and U-20 championships set for Abidjan later this month and the World Athletics Championships set for Dubai in September, the GAA face a race against time to conduct their elective congress before the IAAF bites with sanctions.